Long Lane Primary School is a West Berkshire maintained Primary school. Long Lane, Tilehurst, Reading, West Berkshire, RG31 6YG. 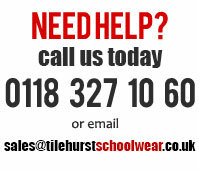 At TilehurstSchoolwear we are one of the official suppliers for Long Lane uniform. We supply the House t-shirts for PE for all houses and we also offer the navy blue shorts for sports.